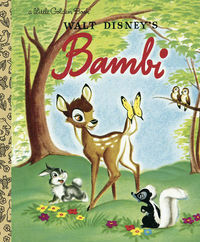 Classic Disney illustrations from the 1940s make this Little Golden Book retelling of an all-time favorite a keeper for Disney and Little Golden Book collectors alike! Rock Candy Snow White has an apple in hand and is a Specialty Series exclusive. The Walt Disney Company has delighted families since 1923, and at TFAW.com, we've got an incredible selection of Disney comics and collectible figures at 10-50% off every day! Explore this page now to find the Disney collectibles, statues, toys, and apparel to stock your personal Magic Kingdom! Legal Notice: Entire contents trademarked (® or TM) and copyrighted (©) 1986-2019 by Things From Another World, Inc. and respective copyright and trademark holders. All rights reserved. Page rendered at 2019-04-19 07:32:06 in 0.605 seconds.